We have noticed that all our chickpea recipes are really popular. So we try to find new ways to use them. Today we are making a fantastic healthy snack. 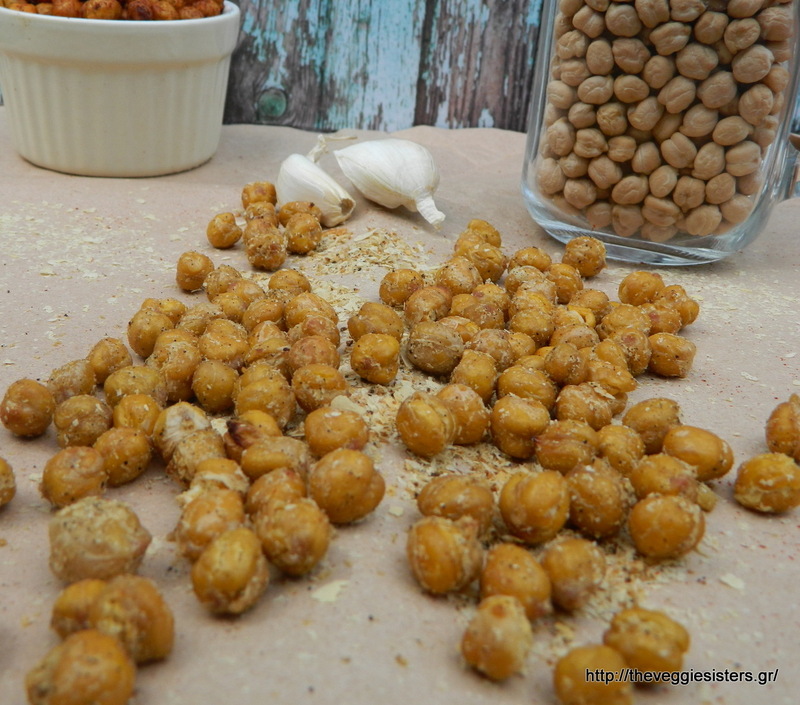 Roasted chickpeas are awesome and can be eaten either as a snack or they can replace crouton in salads/soups. What a great snack, yummy and packed with protein! We give you two options, choose which one you like the most and enjoy! Preheat the oven at 200°C. Drain the chickpeas, pat them very dry with a clean dishtowel. Spread them out on a baking sheet lined with parchment paper. Drizzle with olive oil and sprinkle with salt. Roast the chickpeas in the oven for 15 minutes, sprinkle the spices over the chickpeas and stir to coat evenly, then roast them again in the oven for another 20 minutes. Serve while the chickpeas are still warm and crispy. 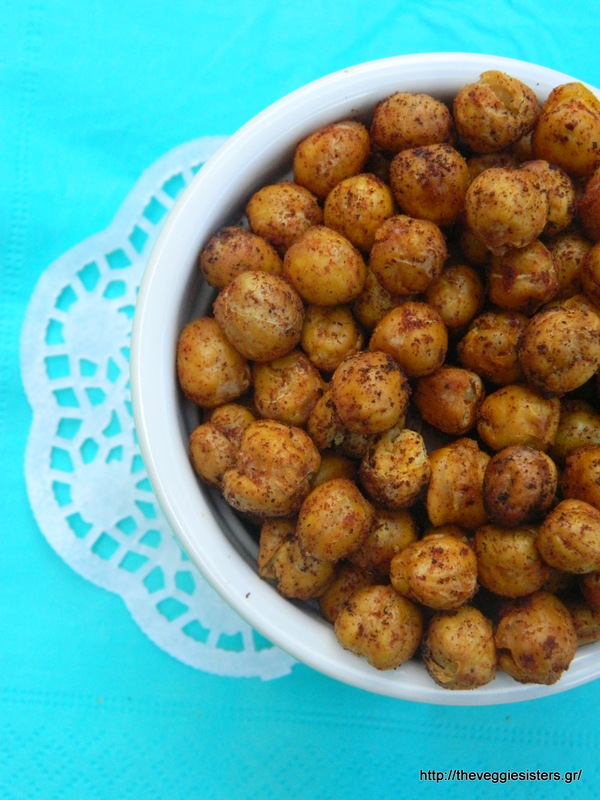 Eat them as a snack or you can toss them in salads! Enjoy! 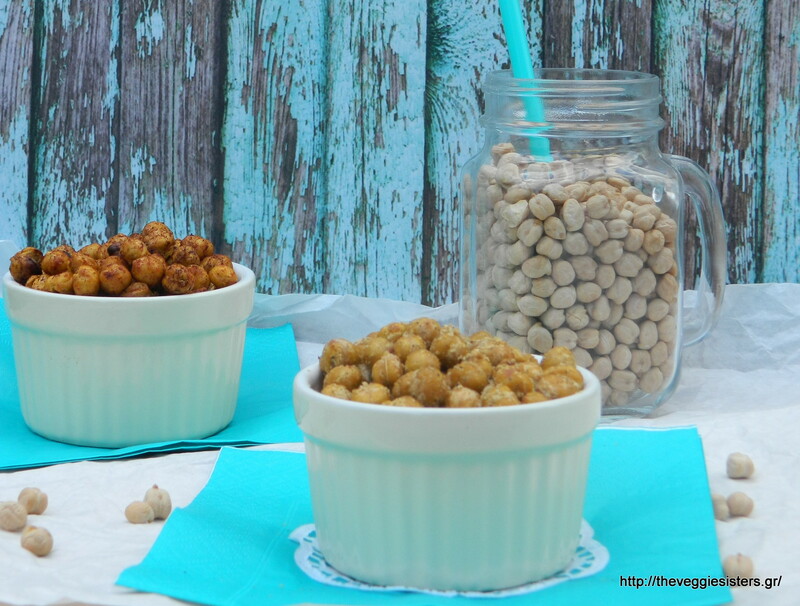 Share the post "Roasted chickpeas: a perfect snack!" Previous PostΨητά ρεβύθια : το τέλειο σνακ!